Ouvre dans 1 jour 22 h 27 min. 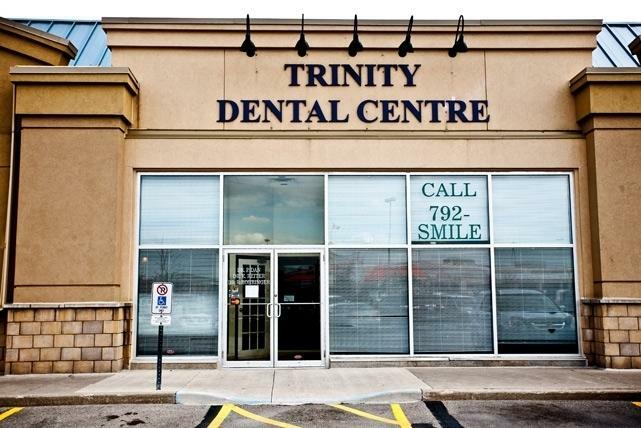 At Trinity Dental we provide full service dental care for families in Brampton. Relax with wireless headphones and enjoy your favourite programs while our dental team takes care of your cleaning, whitening, root canal, crowns, bridges or dental implants. We do everything possible to ensure you're comfortable and well informed. Please visit our website or call us for more information. Soyez le premier à écrire un avis pour Trinity Dental Centre!